In the world of corporate America, it's so hard to become a beloved Apple or Amazon, so easy to become a despised and maligned Enron. After all, to be loved, a company has to do practically everything right. But to fall into the public's corporate naughty list, all a business has to do is make a few blunders that anger its customers, punish its shareholders, and abuse its employees. When a company botches major product or service launches, when stock values plunge, when pink slips are handed out en masse, when mistreated workers pass on the unhappiness by providing poor customer service -- those are the conditions under which a company's brand can see its popularity plunge. 24/7 Wall St. looked at all those angles and more in its analysis. Now, we bring you the result: the 10 most hated companies in America. J.C. Penney (JCP) went from being a mediocre national retailer with modest challenges to one of the great management disasters of recent years. Former Apple retail chief Ron Johnson joined as CEO in November 2011, and radically changed the chain's pricing policy, virtually eliminating sales and coupons. The harsh public reaction was immediate. Sales fell 20% in the first full quarter after Johnson began to implement his plans, and sales have rapidly declined futher since then as customers defected in droves. The stock is off more than 40% since Johnson took over, and the company has eliminated its dividend. Said Durban Capital's retail analyst Steve Kernkraut recently: "It's been a disaster, and it probably will continue to be a disaster. They've made every misstep you could imagine." Dish's (DISH) remarkably poor customer service ratings show up in both the ACSI and in the MSN Money/Zogby poll. In the latter, it makes the "hall of shame" as one of the 10 worst-rated companies. Dish further alienated itself from its customers last May when it dropped several channels, including AMC, depriving its customers of popular shows like "Mad Men" and "Breaking Bad." Meanwhile, in a recent BusinessWeek story titled "The Meanest Company in America," former and current employees called the environment created by the company's founder as a "culture of condescension and distrust." Glassdoor's employee rating for Dish is among the lowest in its survey of thousands of companies. Last year, plans were in the works for AT&T (T) to buy this struggling wireless carrier from parent Deutsche Telekom (DT). But the deal fell apart after the Justice Department sued to block the acquisition as anti-competitive. That leaves Deutsche Telekom stuck with the black sheep of the big four U.S. wireless carriers. T-Mobile's 4G network lags the other three carriers', and customer satisfaction is tied for last place with AT&T Mobility, according to the ACSI. T-Mobile also ranked among the worst in customer service on to MSN/Zogby's annual poll. T-Mobile hopes to improve its position via a marriage with MetroPCS, and by finally offering its customers the iPhone. But with an extraordinary net loss of 1,558,000 subscribers in just the first three quarters of last year, (out of the roughly 33 million), it may be too little too late for T-Mobile. 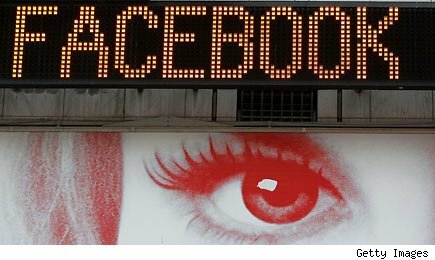 Facebook's IPO profoundly alienated its investors, and the drama played out for weeks in the media. From an initial price of $35, the stock fell below $20 in less than three months. Facebook (FB) has often had customer satisfaction issues, but recently did a particularly through job of irritating a significant portion of its nearly 1 billion members over privacy concerns. Mark Zuckerberg's company did not help itself in this regard when it announced that it had the right to republish any and all photos in the accounts of its Instagram users. According to the ACSI, Facebook is one of the most strongly disliked American companies, beaten out only by three public utilities. Citigroup sacked CEO Vikram Pandit late last year, after he'd shepherded the bank through the financial crisis and then fired thousands of workers. Those points alone would have been enough to destroy employee morale, but the bloodletting wasn't over. Pandit's successor, Michael Corbat, said he would cut 11,000 more employees. In addition, Pandit's mishandling of the sale of its Smith Barney unit caused Citi to write down $2.9 billion, which led to a ratings cut by Moody's. Citi's shares haven't bounced back from their financial meltdown lows the way those of its major competitors have. In terms of its relationship with its customers, Citi earned a spot in the MSN customer service Hall of Shame. Its ACSI ratings, already low, further plunged in 2012. According to Interbrand, Citi's brand value dipped 12% last year, and is now only two-thirds that of rival J.P. Morgan Chase & Co. (JPM). The RIM BlackBerry was once the world's preeminent smartphone. Now, its share of the U.S. market has dropped to 7.3% and is still falling. Its BlackBerry Storm was roundly criticized by consumers, and since its launch, RIM hasn't release a consumer product that attracted any meaningful sales. Several service outages further harmed its reputation and angered customers. In 2011, RIM launched the PlayBook in an attempt to move into the tablet market -- and eventually took a $485 million writedown on unsold units. Meanwhile, the company has fired thousands of employees in an attempt to cut costs. RIM's share price is off by more than 20% in the last year, and 80% in the last two years. To top it all off, Interbrand reports the BlackBerry name lost 39% of its brand value last year. AMR, parent of American Airlines, has, in a remarkably short period of time, ruined its relationships with shareholders, bondholders, pilots, customers, suppliers, and most of its other employees. The November 2011 Chapter 11 filings of AMR virtually wiped out shareholders. Recently, American also cut its financial obligations to airplane manufacturers and holders of the corporation's debt. It has been bickering with its pilots for months over compensation, and the mass layoffs that often accompany bankruptcy proceedings began long ago. American's image with passengers has taken a beating too: It was recently named the U.S. carrier with the rudest employees, and according to the ACSI, has the worst customer service of any carrier in America. Nokia (NOK) recently lost its long-held position as the largest handset company in the world to Samsung. But the real failure for the company has been in the smartphone market, where its brand and distribution muscle should have given it some advantages. Instead, in the five years since the first iPhone was released, Nokia has squandered its leverage and lost the rapidly growing smartphone sector -- mostly to Apple and Samsung. Nokia's last chance to become relevant in smartphones again -- its alliance with Microsoft to use the Windows Mobile OS -- was fumbled thanks to the botched launch of the Lumia product line, which has yet to catch on with customers. As Nokia has fallen behind, its shareholders have seen their stock values plummet -- down 20% in the last year, and 60% in the last two years. All of these factors have taken a toll on its brand. In its 2012 report, Interbrand said the Nokia anme had lost 16% of its value. Earlier this month, Sears (SHLD) CEO Lou D'Ambrosio stepped down due to "family health matters." His legacy is one of unsuccessfully attempting to give two iconic American brands -- Sears and Kmart -- some stability. He leaves the company in the hands of Chairman Eddie Lampert, who will become the fifth CEO in seven years. Over the past five years, the faltering retail giant's shares have dropped by roughly 60%. The company lost more than $2.8 billion in the most recently reported 12-month period. Meanwhile, competitors Target (TGT) and Walmart (WMT) have both handily outperformed the S&P 500. According to the ACSI, the company has the second-worst customer service score of any large discount retailer, better only than Walmart. And employees of both Sears and Kmart stores also rate their experience at the company as poor. The case against Hewlett-Packard (HPQ) is devastating. According to the ACSI, HP was the second worst-ranked personal computer brand in 2012. HP may also be the most mismanaged major company in the U.S. Five years ago, it had annual net income of more than $8 billion. In the 12 months ending in October, HP lost $12.6 billion. The company shares are down more than 40% in the past year alone. Further damage was done via HP's acquisition in October 2011 of British data company Autonomy, which is now under investigation for fraud for misrepresenting its value. HP may have lost billions in the deal. Last year, in an attempt to restructure and stop the bleeding, the company laid off 27,000 employees, more than twice as many as any other company let go in 2012. Not surprisingly employee research firm Glassdoor reports HP is generally disliked by its employees. Methodology: 24/7 Wall St. editors reviewed a variety of metrics measuring customer satisfaction, stock performance, and employee satisfaction. This included total return to shareholders compared to the broader market and other companies in the same sector in the last year. We considered customer data from a number of sources, including Consumer Reports, the MSN Money/Zogby customer satisfaction poll, ForeSee's Holiday E-Retail Satisfaction Index, and the University of Michigan's American Customer Satisfaction Index. We also included employee satisfaction based on worker opinion scores recorded by Glassdoor. Finally, we considered management decisions made in the past year that hurt company image and brand value from marketing research firms BrandZ and Interbrand. Several organizations might have made this list, but have had some good things go their way in recent months. Among them, Netflix (NFLX), which made our list last year thanks to several bad decisions that hurt the company's public relations in 2011, such as the increase in streaming fees, are well in the past. After a sharp drop in 2011, shares are finally recovering and are up more than 30% in the past three months. It is worth noting that some of the companies on the list may have done very poorly by some measures but well by others. A few of the most hated companies have had good stock performances. Others may have satisfied customers. All of this was taken into account when the decisions for the final list were made.